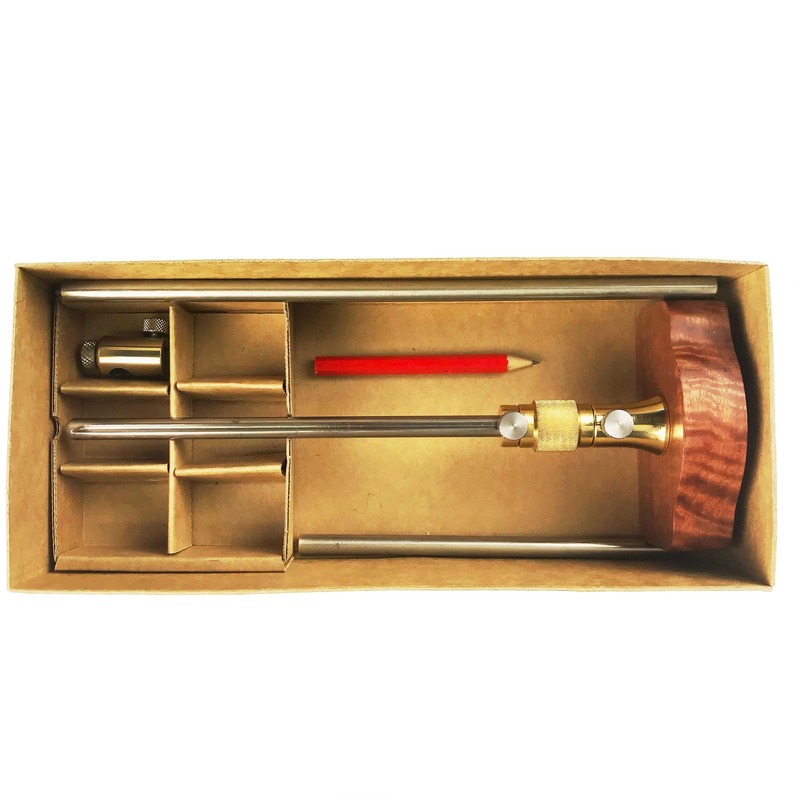 The Micro Adjust Panel Gauge Kit is an extension of the full HE Marking Gauge – Micro Adjust. It is based on that gauge and hence has Micro Adjust. When required, it gives you the ability to change your Marking Gauge – Micro Adjust into a Panel Gauge by screwing in rod extensions. It also has a Pencil Attachment should you require a pencil rather than the cutting wheel which comes as standard with the Marking Gauge – Micro Adjust.